Fort St. John, B.C. 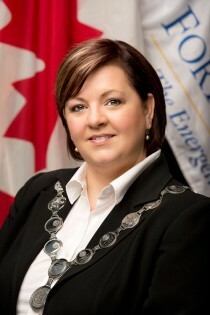 – Lori Ackerman, the mayor of Fort St. John, has expressed her concerns about the newly sworn-in Green backed NDP government. She says the most pressing concern is the possibility the Site C project will be quashed after a review that’s been promised by the NDP-Green alliance. “When you’ve got a decision that is already this far down the line a couple of things will happen: there’s contracts out there that people have increased their business to accommodate the contracts that have been signed,” says Ackerman. Moving ahead, she plans to reiterate an open invitation she made to Premier John Horgan to visit the city earlier this year to discuss the importance of Site C.
“I will certainly be reiterating my invitation. I understand that a lot of the province’s focus is on the Cariboo and the Okanagan where the fires are happening,” says Ackerman. Attempts to “rock the boat”? By that I assume you mean change direction from the one we have been on for the last 16 years? I bet that is what all NDP and Green voters had in mind. “Hey, let’s vote in a new government so that they can continue to make the same decisions that the other government kept making!” Arrrghhh, why doesn’t everyone in this province think the exact same way I do!! I am so angry!! It’s apparent that you don’t understand how the parliamentary system works. The coalition agreement in times of a minority government is a long standing part of that system. If the Liberal party was in the same situation where they were 2 seats shy of a majority, and there was a fringe right wing party holding the 2 seats they needed would you be just as incredulous about the “fraudulent government”? I don’t really care what you think. I voted for one, ONE party not two! Parliamentary procedure or not it is not their right to combine two parties. I don’t really care who wins, as it is a democratic process! But only one party with the most votes should take it. A,B,Cs! Far as I am concerned, yes, they got in under fraudulent conditions and I will not change my opinion no matter what. MY own opinion, just like you have one. “It is not intended to lay out the full program of a New Democrat Government, nor is it intended to presume BC Green support for initiatives not found within this agreement. Both the BC New Democrats and the BC Greens campaigned for a government that put people at the centre of their decision-making. It then goes into details. Most of them are no different from where others would not have gone. Where the rubber is going to hit the road is when one looks at the details starting from page 3 to page 8. That is the checklist by which the NDP government is going to be held to account. First, it must be held to account by the Greens, all three of them!! It is their agreement. Good luck. They are outnumbered. Second, it must be held to task by the BCLibs who have an experienced team at opposition and in a much better position to have the “promises” in front of them and be able to respond to them in a meaningful way. Read it carefully for unbelievable time frames. What is missing in this agreement? Not one single seat is given to the Greens on the Cabinet. In two of Merkel’s German parliamentary coalitions, for instance, the parties involved were given equal number of seats in the Cabinet. That is what I call a real coalition, not just consultation access, but voting access in policy formation. We do not have that. It is not a coalition. It is an agreement to support by the Greens, IF they think they should support. In my mind this is a hollow agreement. Thats exactly the same line of thinking that sunk the libs. That is absolutely false and totally ridiculous. The NDP and the Greens have the absolute right to work together to any degree they choose. Even Christie Clarke tacitly acknowledged this when she tried to get the Greens to work with the Liberals in precisely the same kind of arrangement that is now in effect with the NDP and Greens. Why should it be allowable for Liberals and Greens, but not allowable for NDP and Greens? The argument from Lien is just self serving claptrap because it has turned out to be the highway, not his way. Ah, I see. You believe in democracy, but only when it results in the outcome you want. The opportunity for two parties to come to an agreement to form a working government is part of the democratic process. This is nothing new. Did you forget that the Liberal Party tried to do the exact same thing. Christy Clark approached Andrew Weaver in search of a coalition that would have resulted in two parties governing the province! This didn’t work out largely because the Liberal Party is extremely neglectful on the issues that are most important to Green Party members, i.e. the environment. For someone who posts dozens of times a day on forums, something that general stimulates discussion, your attitude is hilarious. “I don’t really care what you think” and “I will not change my opinion no matter what” are not usually the type of statements that a serial poster holds. Why repeatedly state your opinion over and over again then if you want no rebuttals or comments? Seems that is just time wasted which could be better spent chasing cats out of your gardens. She seems to have her mind locked in the Liberal mantra. Site C is to far gone to stop it. Investors will lose faith in BC, etc; etc;. If I was Horgan I would not even talk to her unless she has a change in attitude. People did not vote in the NDP to implement the Liberal’s policies. So you are a big believer in the bully system. If you dont agree with me go screw yourself? Is that your moto? You gotta be kidding me! Ever since the election and it became obvious that the NDP was going to form government and be supported by the greens, we have had a flood of bullying, sniping, lies, claptrap, distortions and just plain outright bigotry directed at the NDP by the supporters of the liberals. Even the complete abandonment of Liberal principles by their Great Leader didn’t stop it. How can you have any trust whatsoever in someone or in a political party who flip flops so completely and abandons 16 years of rhetoric and adamantine posits? So, is that what you believe in, nothing except keeping power? Is that your motto? Ammor, I think if you look at history, the NDP brought it on themselves. Perhaps they will do better this time. You must be kidding calling the whole Site C project… years in the making and having won approval from ALL levels of government… just a Liberal policy! It was a decision to provide B.C. with another source of super clean hydro power! It is called Site C because there are already two more dams on the river! In the future there will be a Site D for sure! If the Greens support the NDP in its efforts to halt the Site C project the Greens will have lost any credibility they ever had! Of course on Vancouver Island and the other southern ridings which voted NDP and Green they do not give the slightest hoot about us here in the North! We are far away but they too would be on the hook for settling all the law suits for compensation! Those who endlessly called the Liberals out on their breaking of a teachers’ contract are now ready to break signed contracts with companies and manufacturers? At the end of the day it would be fine with them to end up with a mothballed and rusting project? Wow!I can’t wait for this marriage of convenience to fall apart with a giant thud! Yet the Liberals unilaterally decided not to send it to the Utilities commission for review before going ahead with it. There are two other large scale dam projects underway in Manitoba and Labrador. Both are way way overbudget and delayed. Site C was the liberals going to the casino and gambling with our tax dollars because they mismanaged bchydro suplus funding. BC hydro had to borrow to cover all the costs. Now with all the problems it is facing, they are unloading it onto the backs of the NDP/Green aliance. Whether Site C goes ahead or is cancelled, you can bet we are going to be paying perhaps 200 more per month on our hydro. Thanks Liberals. Funny the NDP in Manitoba think they should still it is the right decision to go ahead with Keeyask. Muskrat Falls is 75% complete, shows the problem with trying to build a 10 year project in 5 – Europeans that bid on the project didn’t account for snow and cold weather in the winter. I think that the words “in the context of the current supply and demand conditions prevailing in the BC market” shows the lack of understanding of energy projects. We are a country, not just a province. Alberta has virtually no access to hydro power. They have the need for access to renewable energy to bring the tar sands to market, for instance. They are producing oil not just for the Alberta market. There is nothing that makes hydro energy any different from oil, gas, forest fibers, mined ore, and other natural resources we have and have been selling to the rest of the country and the world for many generations and by many governments from left to right. Except Hydro electric power is the cheapest form of electricity. Every where hydro power is the predominate source of electricity has the lowest cost for power. Don’t think she’s locked in to anything. It is true that the NDP Cabinet needs to get up north and take a look at it,meet some of the folks involved in FSJ, DC, and the mine site, talk to some of those union employees, instead of sitting on Fantasy Island, casting votes to kill it. And Horgan already screwed up by not having any Greens in cabinet posts. Guess where all the green votes will go come the election within a year and a half? Why you guys continually say he was voted in is beyond me. The NDP got less seats and shouldn’t be the govt. Except, you forget Palopu–they didn’t vote in the NDP. If it wasn’t for the Green’s snuggling up to the NDP-he would not be Premier. And in my view, the Mayor has every right to get at least a response from Horgan. If the Liberal party wasn’t so 1960s when it comes to environmental policy, they likely would have the Green Party by their side now. Most Green supporters though stated that the NDP was their second choice, and this motivated Andrew Weaver in part to make a deal with them. I agree that Lori Ackerman deserves a visit from John Horgan, but announcing her unhappiness in advance seems counterproductive. Liberals invited the Greens to snuggle too. Horgan looked cuddlier than CC? Wish the Greens had turned both parties down, stayed true to their voters. Had they done that, they would have earned a lot more respect. The mayor is the only one that is thinking of the people of the area. Vancouver Island and the lower mainland could not care less about this region, except for the taxes it creates. This “government” is a joke. They will pander completely to the lower mainland and hope the damage to the north is not noticed for a while. When the welfare money and green initiatives start draining coffers they will be voted back to obscurity. Totally agree with your statement. All they want is the tax dollars from the north, so they can fund pet projects in the lower mainland and Island areas. Where ‘their’ voters are. If they shut down the economy of the north, there will be no tax dollars for them to play with. Seen it before, survived through it; and don’t want to go there again. All it would take is another vote of no confidence, and we are back at the polls. There is too small a margin in the legislature for this to last very long. The NDP coffers aren’t big enough to handle another election so soon. Or, do we let them limp along and let them hang themselves? At the provinces expense!! “Seen it before, survived through it” So true. Party ideals and policies haven’t changed, and yes they will cater to their voter base. As a politician, I’d want to work the liberal ridings for a majority next time, but that’s not the way they work. They have been the government for just one day! Your comments are the very definition of bigotry. Site C was a make work project…for the area… what happens after its completed? ?/ WHERE will all the workers go??? On EI ??? Name some. There have been tons of major projects proposed over the decades by left and right governments. Just look at the inventory of major project proposals. Look and see how many have been there for decades without anything happening. Which one do you propose and how much money will you invest in those? Every single physical infrastructure building project, from a single family house, to road construction to hospital construction and hydro dams will have an initial period of jobs during the construction which will then move on to the next project. In fact, you answered you own question of where the workers will go. The construction workforce is a mobile workforce. They move to the next projects. It has been that way for thousands of years. People always harp about the tax dollars paid by North Central BC to the Government, however they are never supported by any actual figures. The amount of industry in North Central BC is not very significant. Plus the population of the Northern Interior is about 350,000 and not all of those are tax payers. On the other hand you have significant industry in the lower mainland, plus a huge population of over 2 Million. So unless someone has actual figures to the contrary I would say that the lower mainland pays a hell of lot more taxes to the Government than the North Central Interior. I agree. The north is an important part of the economy, for sure. But it’s far from the driver of BC. That was lost to the Lower Mainland years ago. I think you have that wrong. What people are talking about is the VALUE created by extracting the natural resources in the interior of the province. Whether it is ore, wood fibre, natural gas, oil, hydro, etc. They are all the feed stocks which generate the value added jobs, many of which are located throughout the province as well as the larger urban centres. Remove the wood, remove the coal, remove the ore, remove the gas, remove the oil, remove the hydro …… then look at the economy of the province. I grant you, we still export US coal through Vancouver and import cars through the Vancouver harbour, and support the Hollywood film industry and a few of the other non-resource dependent industries, but a huge swath will be cut through our economic well being. We will be just another maritime province – tourism, retirement, and Asian “refugee” mecca. Vancouver economy is a mirage of fake economics driven be a money laundering housing industry sustained by investor citizens and a thoroughly corrupt stock market with a built in collapse eminent. When the stock market collapses and interest rates go back to rates based on a market economy, then Vancouver is finished as an economic driver… and they will be a taxation anchor on the rest of the province as their population will demand we pay their bills after the collapse of their own economy. I believe that is the reality of fact. Housing is typically reactive, not proactive. It reacts to demand. Developers do not like unsold units. Those people who own the units will be the ones who will bear the loss, especially when tied into fixed mortgage terms of 5+ years. On the other hand, if mortgage rates go up by 1%, 2%, or more, which they likely will not to that extent, then all of a sudden those who have fixed rates for 5, 10 and more years will be the lucky ones. Those who want to keep building may not find buyers due to their higher interest rates. If the demand stays high, then the asking prices of virtually every housing unit will keep on rising, no matter what the interest rate. So, the question that needs to be answered is what is driving the demand? No one seems to know. One thing is for sure, it is a beautiful cosmopolitan city. It is very attractive to urban dwellers. The majority of people in industrialized countries are urban dwellers. That is certainly one of the driving market forces. No that is not it at all. My tablets keep crashing with reloads so I can’t get into it at the moment… hopefully for the Friday free for all. We have a fundamental problem bigger than debt that will only strangle the middle class and free enterprise in years to come consolidating future generations to serfdom. Vancouver economy is by product, but it too will fail in the long term. Maybe not in the next 6months but it’s coming in the near future.. maybe 18-months max. It involves the passive investing indexed funds due to the corruption of the regulators driving a monopoly capitalism that drives out innovation and financial accountability. Do you mean to ell me that the Logging, Sawmilling, Mining, Farming, Ranching, Fishing, Oil, Natural Gas, Dams, don’t do anything for our economy in the North, Central, Southern Interior. WOW! Site C was needed, it is green energy. Some may talk Bird Slicers are green energy but they are not. 10 year shelf life, tons of coal to build them. Lots of helicopter time de icing them. Antifreeze is not friendly. Lots of dead Birds. How many batteries to regulate the power again???? That is why the promised four-laning of the highway 97 north south connection was designated as a fifty (50!) years project! When Williams Lake got the order to evacuated the leaving vehicles got stuck in a grid lock that allowed them to move at a pace of 2 km per hour, bumper to bumper! I will never understand why just a fraction of the necessary work was done in the last 16 years! Quite pathetic! The south got the gold mine and we got the shaft! The first thing the NDP/Greens will do is to halt even this snail paced effort altogether! It’s a 20 year project. As has been brought up before, time to split the province. Any ideas on where to place the border? One suggestion do not include kelowna in the new province or the north will still have the same problems. A split Province with the North Central Interior with its 350,000 people, would not be much of a Province. But Heh, go for it. Really, that is what you think of the north Palopu, not much? “But Heh,go for it.” You were against twinning bridges, you are against twinning highways, but you support creating a twin of this provincial government, with all the doubled bureaucracy amounting to tens of thousands of new government minions? I agree. I would think 100 mile north, but I think to be an independent province we would need a majority vote from every community in the north, so who knows how far south that extends. Williams Lake is the half way point between Kamloops and PG when it comes to driving time/distance. If I were living in 100 mile house, unless I had family in PG or on the way, such as Quesnel, I would drive south, not north. Giving consideration to the amenities of Kamloops and region versus those of PG and region, I would have even more reasons to drive to Kamloops. Drive 2 or 3 hours from Kamloops, whether going east or south, there are many more recreational and urban experience opportunities than PG has with similar driving distances. Split the province to have the North separate will not work. As soon as that is done, the Peace River area will leave to amalgamate with Alberta, just look on a map. That has already been touted in the past. Do you really think the Prince George Regional districts can support independence from the rest of BC? Do you really think the Prince George Regional districts can support independence from the rest of BC? I don’t think it could. I don’t even think a new province consisting of the entire land mass north of 100 Mile House could. Such a province would need revenues and when you look at the sources of revenue for the Province of BC currently, 50% of it is based on taxes of some sort, taxes that are directly reliant on a sufficient population of taxpayers. You won’t find that in northern BC. Only about 4% of provincial revenues come from natural resource revenues and not all of those would come from this new province of Northern BC. The rest of the revenues is a hodgepodge of stuff like earnings from Crown Corporations, MSP premiums, federal transfers, etc. So again, stuff that is most definitely linked to population. I think if someone actually compiled the numbers, I would imagine that Northern BC actually receives more in spending from Victoria than what they send there through the various revenue streams. The solution is not to form a new province. The solution is regional growth and becoming more effective at attracting investment. That would be interesting. Bella Coola to Penticton and straight line to the border of Alberta. Wonder how long the south would last. Too bad there wasn’t an Orange party for the Liberals to party up with. We would then have a battle of the Orange/Greens all over again. Oh God, I hope not, if the last (current) one is anything to go by! By the sound of most of the posters, you would think that the north was booming under the former government. It wasn’t doing well, all the jobs that they bragged about were in the southwest of the province, the north had increasingly high unemployment rates. John Horgan may not know that there is a province north of Hope, but neither did the Liberals, until election time. Christy Clark wasn’t to blame for the drop in oil prices, neither was Stephen Harper, neither was Rachel Notley. But people like to choose which one to blame depending on their political views. We have very little control over what happens in a resource based province, if the price of minerals during the past 10 years was comparable to those in the nineties there wouldn’t be a mine operating in the province. Governments should’t be able to stay in power longer than 8 or 10 years. after that they begin believing they’re royalty and become dictators. WOW finally someone with COMMON SENSE!! Shows that COMMON sense is not really sense. Trump was elected on the same COMMON sense. Based on polls, that COMMON sense has now dwindled to 30%. Others had a different kind of COMMON sense. There is left COMMON sense. There is right COMMON sense. And there is middle of the road COMMON sense. Very few people have sense based on the knowledge of objective facts & indicators, developed skills and experience and the ability to analyze the information in a clear, objective and defensible fashion. Gertrude Stein stated: “Everybody gets so much information all day long that they lose their common sense”. I like Einstein’s. Stein’s brings some of today’s reality into the equation. A significant number of people cannot process the information we are bombarded with these days. We all have different capacity limits to digest and understand the information we have such easy access to. That leaves some to ignore it and go back to their prejudices rather than decisions based on knowledge and understanding. gopg depends on the polls you are reading. hey polls predicted Hillary would win by a landslide. Thankfully that did not happen. Hey what about the 145 million Hillary’s pay to play fund got from the Russians? Talk about collusion. Politicians are like diapers…. they need to be changed often, and for the same reason. Common sense yes. We don’t see that very often anymore. I don’t agree. We’ve got a couple of hard working MLA’s locally, hope they stick around. “John Horgan may not know that there is a province north of Hope” And therein lies the problem, and the Mayor of Ft. St. John is well aware of it, that’s why she’s concerned. Palopu, Attaloss I can hardly wait for your remarks. Interesting observation, if site c is shutdown lawsuits could equal the project cost. And so they could, should and would, justifiably so! Breaking contracts is alright now? Yes, no government would ever break a signed contract. That would likely have them wind up in court, possibly losing court cases that will cost the taxpayers millions of dollars. Oh, wait. The Citizen article was mostly conjecture. As an example the possible increase in population over 2 decades ranged from 800,000 to 2 Million. Hmmmmm. We need to keep in mind that even with breaking contracts and paying them out, and stopping Site C we would still be 4 to 5 Billion ahead of the game. So if your argument is money, you don’t have an argument. We also have a surplus of power for the next 2 decades, so if your argument is about a shortage of power, you don’t have an argument. Site C will generate 1100 MW of power. The Shepard Energy Centre East of Calgary was started in 2007 and completed in 2015. This natural gas generating plant is capable of generating more than 800 megawatts of electricity for the Alberta grid. Cost $1.4 Billion. Alberta has more gas generating plants being constructed. The USA is building more gas generating plants and phasing out coal plants (like Alberta) and reducing overall greenhouse gas emissions. With the huge surplus of natural gas in North America and especially in BC, there will not be a shortage of electricity in BC for many years to come. If we are looking at a shortage we need only do what Alberta and the USA are doing ie; build a gas generating plant. Alberta and the USA will buy less and less electricity from BC in the years to come and building Site C is a totally useless endeavour. There is no monetary cost to build natural gas power generation plants. Burning a non-renewable resource like natural gas contributes zero pollution and zero CO2 to the environment and global warming. Passing up on opportunities to get clean renewable hydro power from dams is very smart. To break existing contracts is (all of a sudden) justifiable and ethical. Natural gas produces methane at the wellhead, is a fossil, non-renewable fuel and generates more greenhouse gases at the generation end. Hydro is renewable and much cleaner energy when it comes to greenhouse gas generation. As I wrote before, we have a province next door who can use hydro energy to reduce their greenhouse gas footprint and use to provide their oil sands projects with a better marketing profile. You know, we do live in Canada and Canada is trying to reduce their greenhouse gas footprint. Alberta is not helping much in that. BC is doing a better job by building a renewable energy project not only for this province but other provinces as well. So, no, this is a real bad one Palopu! Good points but why are you concerned about greenhouse gas especially mans minuscule contribution. Is there some proven science somewhere that mans c02 contribution is affecting climate? “Greenhouse” gasses are not pollutants and thus are irrelevant when discussing whether an energy source is clean or not. You anti NDP fear mongers are laughable. You should listen to youselves. That includes you Ackerman. One term and the ndp will be gone. Their policies are not based on reality. You mean all the NDP policies the liberals adopted while their ship was sinking? I doubt it will even be one full term. That would have been the case, findme, except in her pathetic attempt to hang onto power, Clark pretty much destroyed the credibility of the Liberal party. She should have had the decency to resign as leader but she can’t seem to realize that her time has come and gone. By not giving her the boot, the Party has welded its fate to hers and will go down with her. So with the Liberal Party all but extinct, who will the disgruntled voters turn to? When the SoCreds self-detructed, they turned to the Liberals. Who else is there> Provincial Conservatives? They’re a tiny rump party, can’t even field a full slate of candidates. No, the NDP will be in power for a long time, because the Liberals won’t be elected again until the current bunch is gone and the party has re-invented itself somehow. Breaking of contracts could initiate lawsuits adding to the cost of shutdown, money already spent, upto the cost of the project. What surplus of power? There has to be a built in reserve to secure the grid against low water years, maintenance shutdowns and forced outages. I have tried explaining to you palopu over and over generation is not built to match load. The world price of natural gas is inching up. What will be the price be say in 10 years. You want to build Gas generation to cut green house emissions, though science has failed to show an issue. So you seem to have a concern about emissions but against site c which will have virtually no emissions compared to a gas plant. Which is it? yes the USA is phasing out coal but notice how their electrical costs are quickly rising. Coal plants may again be built in the US. 1600 hundred coal fired plants being built and planned around the world. yes surplus of natural gas but price inching up. Thought you where worried about emissions? Wait until trump gets his wish on imports we will have to give him our electric power. When you consider the emissions from say two natural gas generating plants which would produce 1600 MW annually which would provide power for BC for the next 50 years why would you be concerned about emissions. You have to compare the emissions associated with both projects to arrive at what the actual increase in emission would be. My guess is it would amount to **diddly squat**. Lets remember that LNG exporting plants are far more polluting that Natural Gas plants and the Liberal Government was prepared to allow them all to go forward. According to the NEB there are currently 24 planned LNG projects in Canada-with 18 based in BC. So would you say that the Liberals were concerned with emissions considering that they are in favour of these plants. Not to mention the emissions from extracting the gas, and fracking. By building these natural gas electrical plants we get rid of the need for Site C, save thousands of hectares of good farm land from being flooded. We could also access the electricity that we get from the downstream benefits of the Columbia River Treaty, if we chose to. So. No shortage of power. Only a Liberal party who wanted to create golden opportunities for those who support them at the expense of those who don’t. So Seamutt your arguments are the old arguments, outdated, and out of touch with reality. Don’t forget that we can also shut down the natural gas plants if we have sufficient electricity from other sources. With Site C, we are stuck with this white elephant forever. Time to wake up and smell the flowers. Palopu I am not concerned about emissions, where did you get that from? The good very productive farm is in the Fraser valley and is getting built over. Besides c02 emissions is greening the planet helping more food to be grown. “So Seamutt your arguments are the old arguments, outdated, and out of touch with reality.” so in other words Palopu as usual you have nothing, talking about getting old. I find I have to agree with Palopu, it would have made much more sense to build N. gas generating plants than Site C.
But now that we’re committed, it’s too late to cancel the dam. If we do we’ll end up paying just as much as building it without the benefit of getting any generating capacity. I said it would have made much more sense to build N. gas generating plants than Site C.
The Greens never do anything that makes sense when it comes to energy. A province with 350,000 population would be at least 2X larger than the subsidized Prince Edward Island. The population would double at minimum once we had sovereign policy for an independent north and with resources it would be more akin to a province like Saskatchewan or Manitoba. BC as a whole once had a population of 350,000 and functioned as a province. What would this new province do with its resources that it currently isn’t doing? NMG hopefully more money would stay in the north and northerners would have more control over northern issues. Oh palopu more gas more fracturing, as if fracturing is an issue but many ignorantly believe it is. So no fans for your gas plan. Oh did you miss the part about moving away from gas heating, natural gas is ukky to many. The Site C project will provide some employment to Albertans , provide power for export that is starting to dry up. The province will be saddled with a huge dept. for the next generation to pay off. There was a recent post on 250 that gave a break down of who contributes to the BC economy and how much. The interesting part was the break down of the different areas in our province. I think the Mayor should be encouraging agriculture that exists in th Peace Region and forget about Site C. The Dawson Creek area is exporting its pollution in oil around the world and the Kinder Morgan pipe line is the grand daddy of them all when we are concerned about climate change. Only fools are concerned about climate change being caused by burning fossil fuels. Retired where do you find this stuff? The majority of workers are from BC, fact that has been published. Agriculture is already huge up in the Peace country, you ever been there? Your comment about pollution in oil, I suppose your use no oil or oil based products? So you are also denying there was such a thing as climate change before man came along. That makes you a climate denier! News to you climate has always been changing and lucky for use the last 150 years has been a very benign climatic wise. We enjoy some of the cheapest power on the continent, because 50 plus years ago Wacky Bennett knew to pull this province from old colonial ideals, it needed a vision, and that vision was building an infrastructure that will pay dividends in the future. We enjoy that dividend now, the billions of dollars that end up in the provincial coffers. We need to do this for our children and grandchildren. The problem with Horgan is that he is all show boat, and has no clue on what this province is about. Weaver on the otherhand is a lot smarter than Horgan, but is enjoying his sail being full. As we speak Horgan is busy replacing the heads of crown corporations and authorities. This to me seems wrong, because he has yet to test the confidence of the house. So far the house has said they don’t support the Liberals, but it would be a nice formality if he gave a throne speech and had a confidence vote before he starts firing people and incurring severance. Whose to say when the house finally sits that the NDP and Greens will all be there. People get ill, die, or change their minds on a regular basis. It’s not too much to ask that you get a confidence vote before you start changing everything. Lori Ackerman is trying to move up the ladder. Hope she has her work boots and hard hat on just in case she falls. First we build them and then we shut them down? The “sufficient electricity” would come from which other sources? Please publish a list of other sources that have the storage capacity that hydro power dams have! The discussion has slipped into absurdity! its a business. Its to sell to other jurisdictions – which we need to do to keep our hydro rates low. If we hoarded it all to ourselves and didn’t sell cross borders the current model would be unsustainable and our rates would increase significantly to balance the books (regardless of who or when money gets siphoned off because they all do it. Any review will show that there is no need for the additional electricity for our province. I read an article from the states that said they had to ban or cut back on home owner solar systems as it was costing everyone too much money. If 50% of the people in Prince George went off grid, they wouldn’t be paying anything to BCH, but BCH would have to still maintain the same amount of transmission and substation equipment. Those costs would be shared by the balance of the users thus increasing rates. Wonder if Horgan being so worried about site c costs will he address the 65 billion in very expensive electrical generation contracts to IPP’s. Just a might more expensive than site c and site c is needed to back up those contracts with base load. So if he is willing to rip up contracts how about looking at the 65 billion. Oh wait bird slicers are included, do not touch. Come on Horgan what have you got to say? The argument that Site C has a huge storage capacity for electricity is bogus. We can leave the natural gas in the ground (Storage) and use it in the future when we need it. This is a far better option than flooding thousands of hectares of prime farm land, relocating people and basically screwing up a huge ecosystem, just to create a few jobs, and some contracts to make it appear the the Liberal party actually can accomplish something. In any event there is really no difference between storing water behind a dam, or storing natural gas in the ground and using it when we need it. The fact of the matter is, is that the natural gas option is a much more sane,intelligent, and cheaper way to go. Palopu storage behind a dam is similar to a battery, can be used, recharged and used again. Gas once used is gone so actually not storage. Site C itself does not have huge storage you are somewhat correct, its storage is behind the Bennett dam. That water will be used three times to generate electricity. Gas generation using your example also I guess only creates a few jobs. Nobody can help people who pretend not to know the difference between clean renewable hydro power and carbon/pollution emitting non-renewable natural gas. Means the Greens will never support it over hydroelectric. PG please clarify, are you talking about carbon or do you mean C02 and where does pollution fit in? Less than 25% of B.C. land suitable for farming is being farmed. The few thousand hectares of land that will be flooded represent less than 0.01 % of B.C. land suitable for agriculture. The argument that we need that for our survival is bogus. The twinning of Highway 97 north was not called the Carboo Con for nothing.